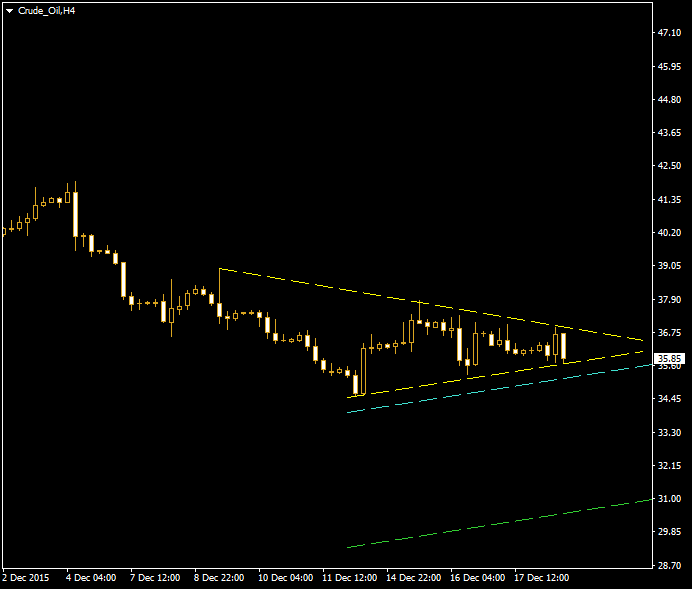 A symmetrical triangle has formed on the four-hour chart of crude oil. 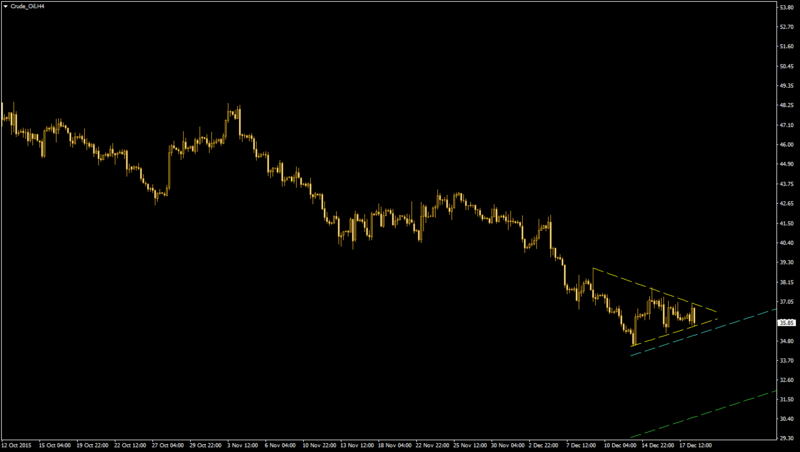 Such pattern appears when prices consolidate and is usually followed by a strong breakout to one side or another. Considering fundamentals, a breakout to the downside looks much more likely than to the upside. On the present chart, the triangle pattern is Jousting Bounce House indicated by the yellow lines. The cyan line offers the entry point for short positions in case of a downside breakout while the green line suggests the profit-taking objective.